Honestly, although I took three semesters worth of cooking class in high school.. I didn't know how to cook anything really! It wasn't until just last year when my roommate Aubrey taught me how to cook. Now its one of my favorite things to do! Before I would waste lots of food (and money!) in unsuccessful Pinterest recipes. They were complicated, took all day to finish and didn't ever turn out all that great. But I've learned to keep it simple and easy! I hardly ever use recipes now, I just go by taste. And if I'm trying out something new, I'll read over a basic recipe and then improvise from there. Heres a list of my favorite spices from Trader Joes and what type of recipes I use to cook with them. I didn't even know I liked "everything" bagels but this changed my mind completely! Soo yummy, I put it on anything! A long long time ago I got my hands on some truffle salt and it was amazing. I'm so happy Trader Joes carries it! Turmeric contains powerful anti-inflammatory and antioxidant properties, and tastes good! 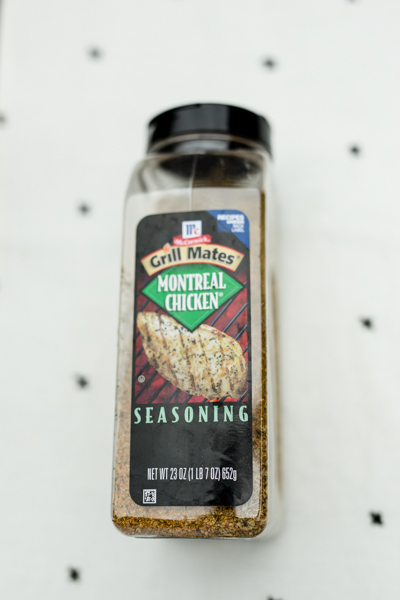 You can basically put a hint of this in any meal to give it a little kick of flavor. Okay, this isn't from Trader Joes but I just had to include it in this list! Not sure if you can tell, but this is a HUGE container from Costco and we have already put a dent in it. This is Seths favorite! I like this seasoning, but I've honestly only used it once. It has a good simple flavor and can be added to any meat or veggie or really anything to give it some more flavor.